On Wednesday, October 5, 2016, a mandatory evacuation was ordered for Volusia County to ensure the safety of residents from Matthew – at that point a category 4 Hurricane. For those who did not evacuate, there was a curfew from Friday at midnight through 7 a.m. Saturday morning. 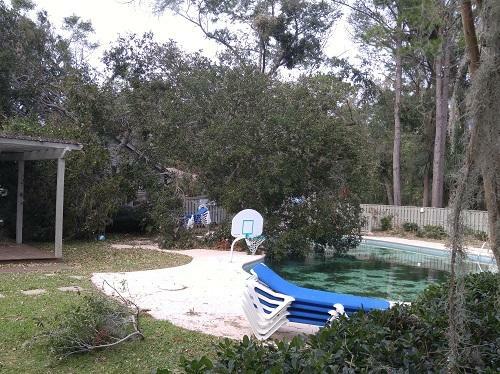 On Friday, October 7th Ormond Beach, Florida was hit by Hurricane Matthew. 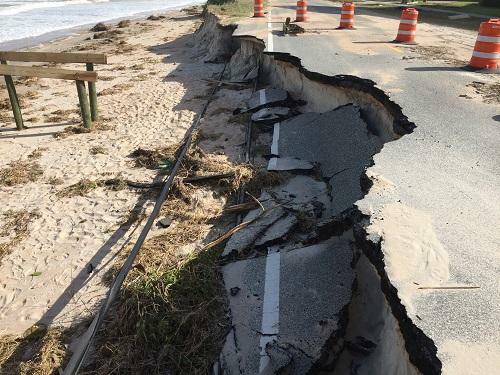 The City of Ormond Beach experienced an 11 foot storm surge, peak winds at 91 mph and flooding. Fortunately, the eye of the storm was 35 miles off of the coast, sparing Volusia County from the full force of winds up to 140 mph. 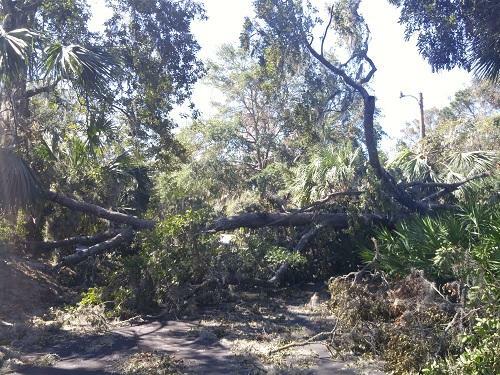 By Friday afternoon, the storm left more than 1 million residents without access to power, including the Royal Floridian. At Spinnaker Resorts, the Royal Floridian is projected to reopen on October 21st. Also on October 5th, residents of Beaufort County received a mandatory evacuation notice from the Governor. 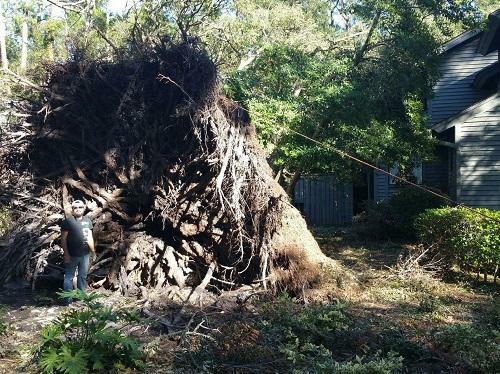 An estimated 355,000 fled the coastal areas of South Carolina. On Saturday, October 8th around 2 a.m., Hilton Head Island faced Hurricane Matthew. Although downgraded to a category 1 hurricane, Matthew brought wind gusts up to 88 mph with a storm surge of 12 ½ feet and 11 inches of rain. 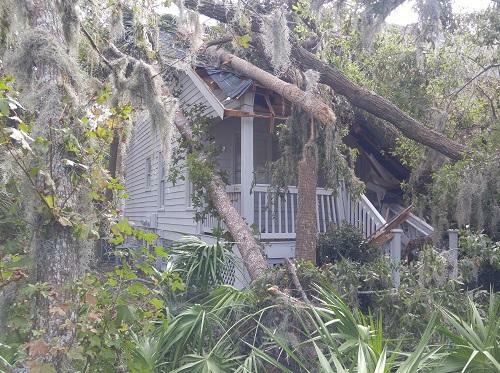 Damages to roads, powerlines, water supply and structures were enough to keep Hilton Head Island closed to residents until October 11th. For those who attempted to return to the island before reentry was permitted, they were temporarily moved into Red Cross Shelters set up in surrounding towns. After the storm passed, the island was left without power and running water. Hilton Head’s boil water advisory was lifted on Thursday October 13th; however, wastewater service remained an issue on parts of the island for several more days. 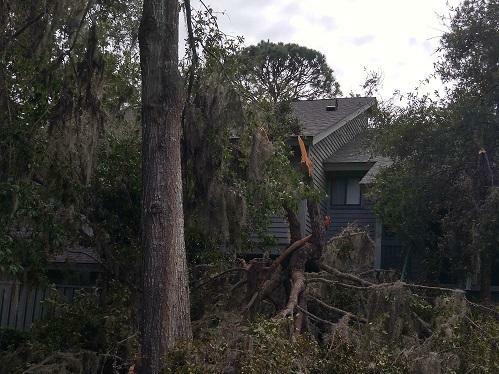 By the weekend there were nearly 20,000 homes in Beaufort County still without power. The entire town of Hilton Head has come together to restore this beautiful island after the devastation left by Hurricane Matthew. More than 2.5 million people were forced to evacuate from Florida, Georgia and South Carolina due to Hurricane Matthew. 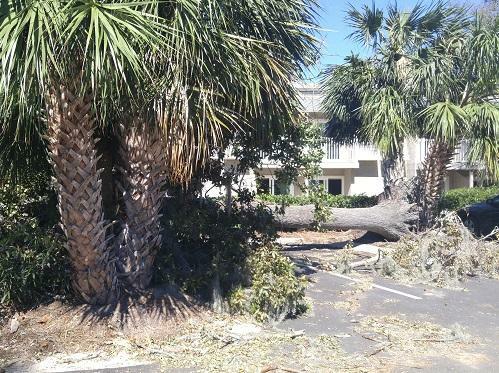 Landscapers were contracted for storm debris removal prior to the storm’s arrival, allowing Spinnaker Resorts to be among the first to receive landscape assessments. Our large debris removal began Tuesday morning as soon as cleanup crews were permitted back on the island. 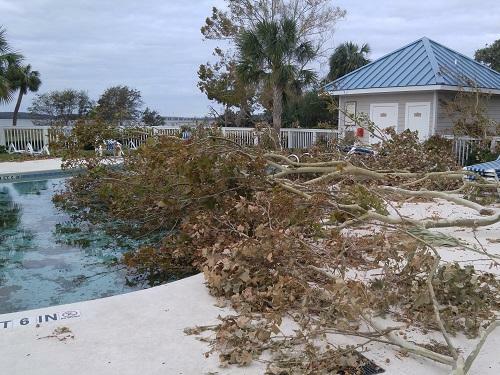 Three 30-yard dumpsters were also ordered before the storm giving Spinnaker the ability to remove and dispose of debris when other resorts and hotels on the island were unable to do so. 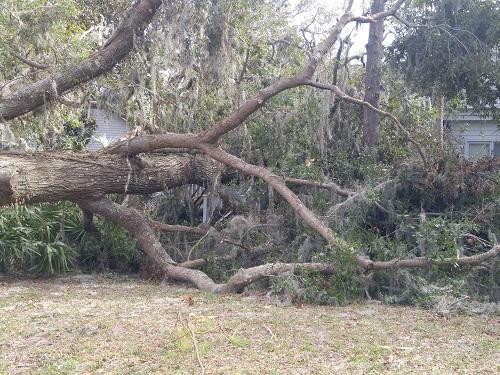 Due to our relationship with Brightview Landscaping, we were mobilized at our properties on Thursday with tree services focused solely on our resorts. Five dedicated employees of Southwind Management and their families stayed onsite to monitor the resort. As a result of their efforts, Executive Management stayed informed about the condition of our villas, and was able to contract workers as early as Sunday to mitigate any further damages to resort property. The wives of two employees prepared breakfast, lunch and dinner for the families and maintenance crews that were working diligently to return our resorts to normal. 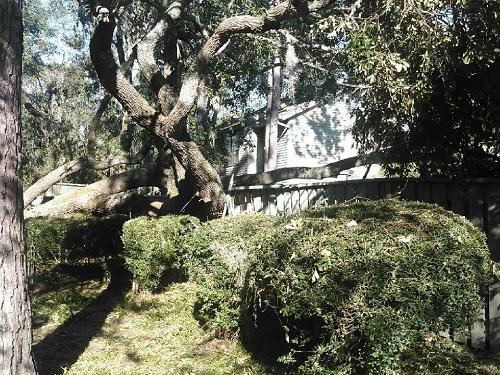 After the storm, five Spinnaker Families returned to homes that were uninhabitable. They were provided shelter, food and other supplies arranged by the Facilities and Activities staff. We are very proud of our team’s generosity! At Waterside, three elevator shafts flooded during the storm. Concerned the water may have been contaminated, we opted to contract a wastewater disposal truck to remove water rather than release it into storm drains and risk further damage to the environment. 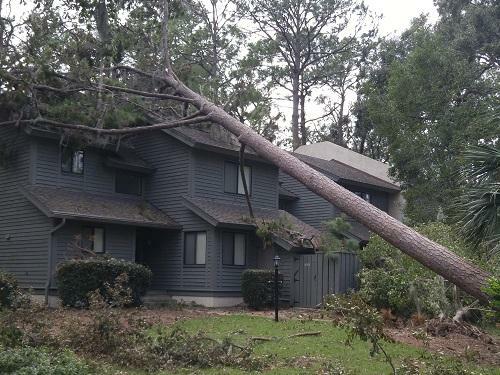 While assessing conditions at Egret Point and the Cottages, Facilities Team members cleared Valencia Road in Shipyard Plantation so local residents and Hilton Head Health Institute employees could reach their homes and offices to assess their properties. 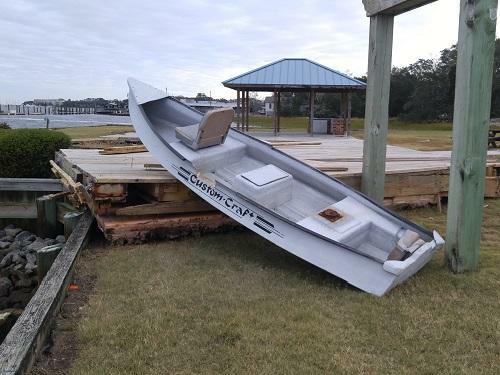 At Bluewater Resort and Marina, some of the debris that washed ashore included kayaks from Outside Hilton Head, one of our local recreation partners. We contacted Outside Hilton Head and aided in the recovery and packing of their items. 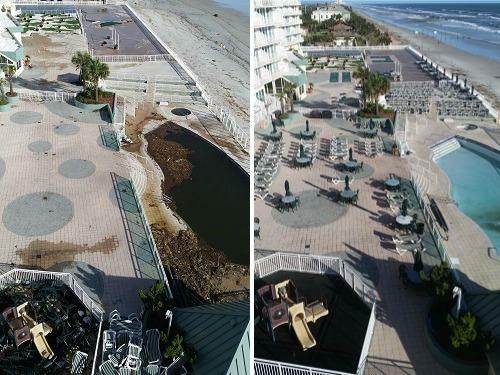 Royal Floridian Resort held up fairly well considering wind gusts up to 91 mph and the storm surge. Twenty condos had some water damage, however, all repairs will be completed by October 21st for re-opening. Several members of the Management Staff stayed onsite to secure the resort property and report on the conditions through the storm. These managers were swift in saving many components and quick to remove contents to avoid further damages. The following day loyal contractors were onsite installing fans and dehumidifiers to limit damages and correct room moisture levels. Heavily damaged areas were limited to the parking garages, seawall glass barriers and framing, gates, railings and Tiki Bar shade sails. The storm also temporarily damaged the Fire Pump and Alarm Systems in Royal Floridian and both properties lost domestic water pumps. The safety systems are in repair and guaranteed to be 100% operational this week. The most labor intensive work performed was cleaning of the pools and upper decks. 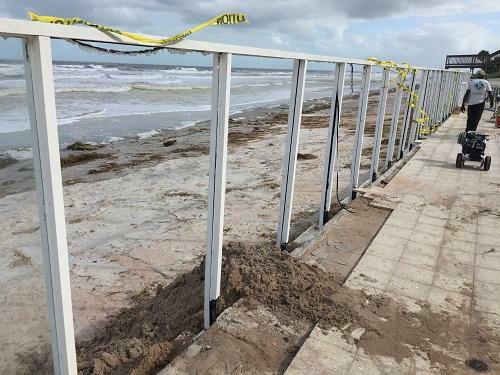 Thousands of pounds of sand, debris, glass, cactus and wood pilings from beach crossovers were dumped into the Resort Pools. All the cleanup was performed by Southwind Management Staff with basic hand tools. Access of heavy equipment was not permitted nor could it be brought onto the pool deck. Staff labored for a full week simply cleaning out the pools and deck areas, and working around the clock to ensure all amenities are back in working order to return the Resort to its normal condition. Decks are now clean and pools are filled with clean water and in the process of being chemically balanced. A temporary fence has been installed until a new glass and metal frame barrier can be constructed to replace the old system that was destroyed. Railings, fences and damaged gates have been ordered for install but will take several weeks due to the high demand in the area of such components. Thank you to all our owners and guests for your ongoing support. 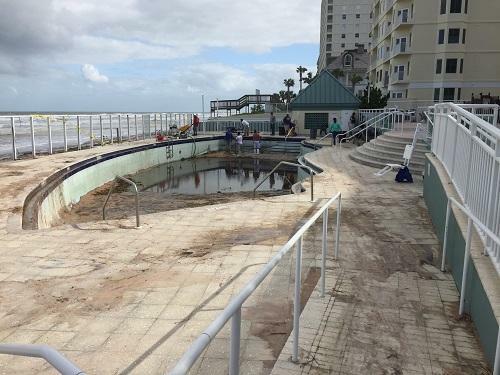 Our property management teams in Ormond Beach, FL and Hilton Head Island, SC have been working around the clock on assessments and repairs to our resorts. We are happy to note that some of our units in Hilton Head are operational. We are currently contacting our Owners that we were not able to accommodate due to Hurricane Matthew to provide alternate vacation options for 2016. Our resorts may have been bruised and battered but our employees and contractors have been doing amazing work as we continue to diligently restore our resorts for your safety and comfort. Here are just a few photos of the aftermath of Hurricane Matthew that exemplify these ongoing efforts. 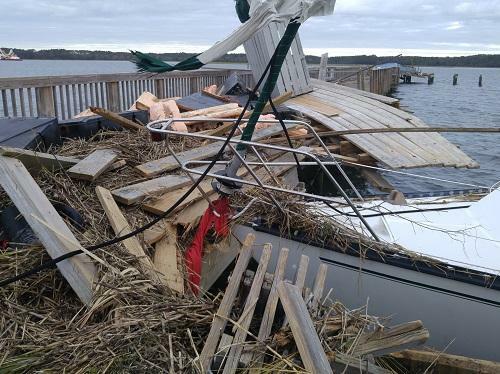 The left panel shows the Royal Floridian deck on the morning after the storm. Right features cleanup progress after 5 days. We are happy to announce that our Ormond Beach, FL resorts are now fully operational and all Hilton Head Island, SC resorts are open. 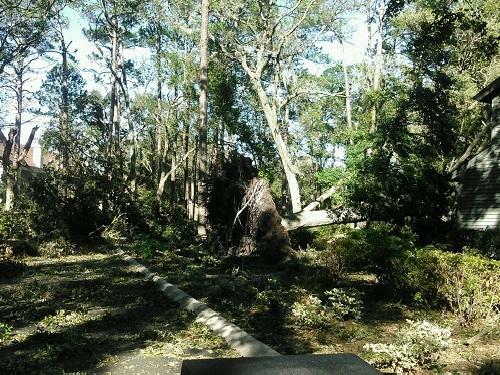 Owners – thank you in advance for your patience during the remainder of the Hilton Head storm debris clean up. To view Hurricane Matthew’s impact on our Hilton Head Island, SC resorts, click here. To view Hurricane Matthew’s impact on our Ormond Beach, FL resorts, click here.